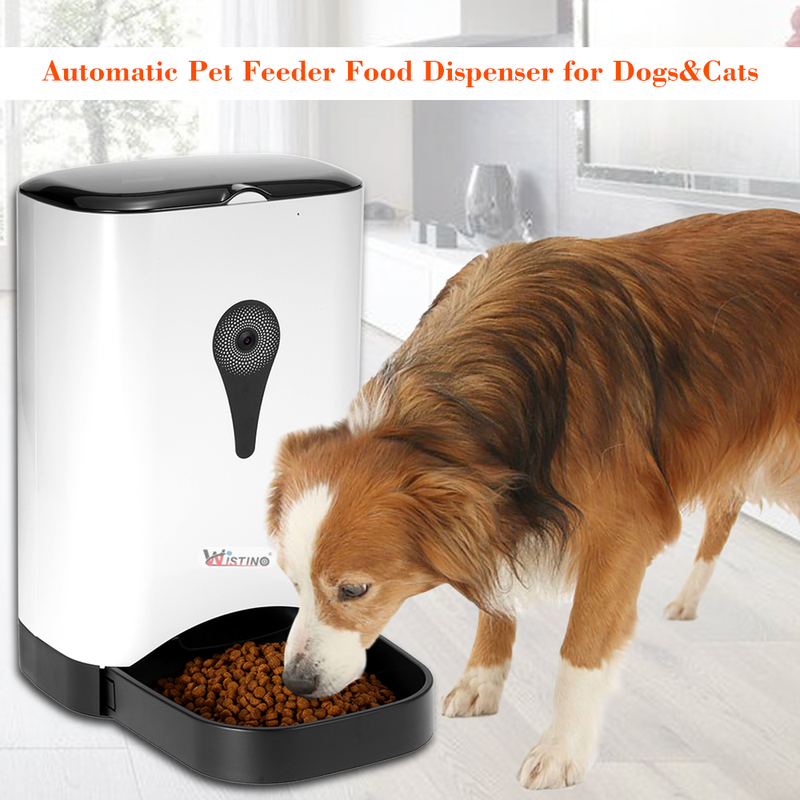 *Feed your pet any time any place. 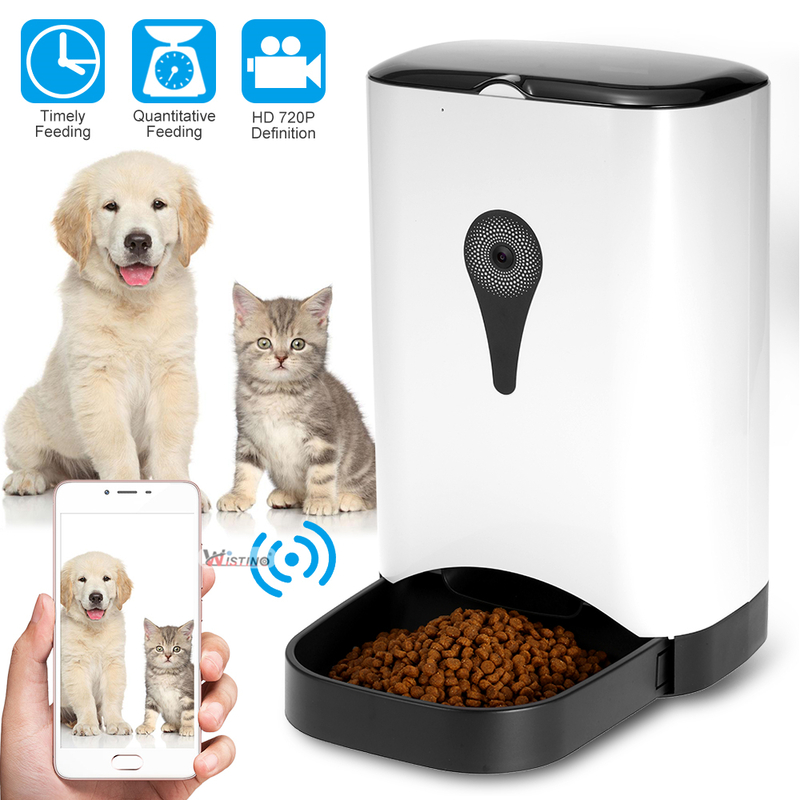 Using phone APP, you are able to set times to feed your pet automatically or choose to do a manual feeding on your mobile device instantly, and you can use your smartphone to control the feeder whenever and wherever you are located. *Distribute the proper mount of food. With the control of your smart phone, you can easily monitor the amount of food served at each meal time. With food measurements, you can cater the meal to your pet's specific dietary needs. 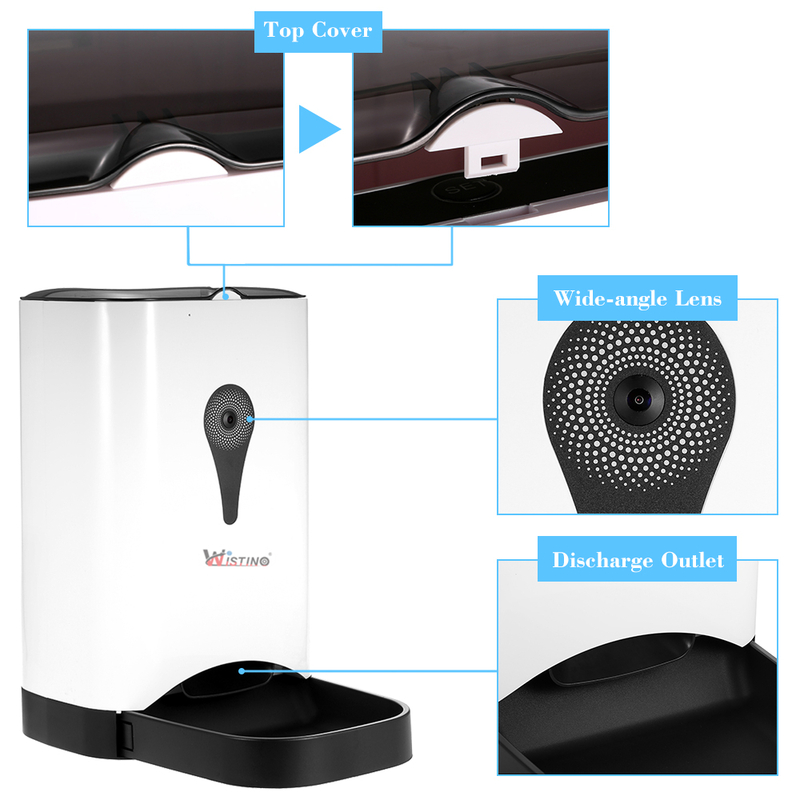 *User friendly and easy to setup. Free download APP compatible with Android/iOS. When the APP is off line or it isn't connected to Wi-Fi, it will automatically change its setting to "Offline Feeding Model" ,which will distribute food according to your setting. 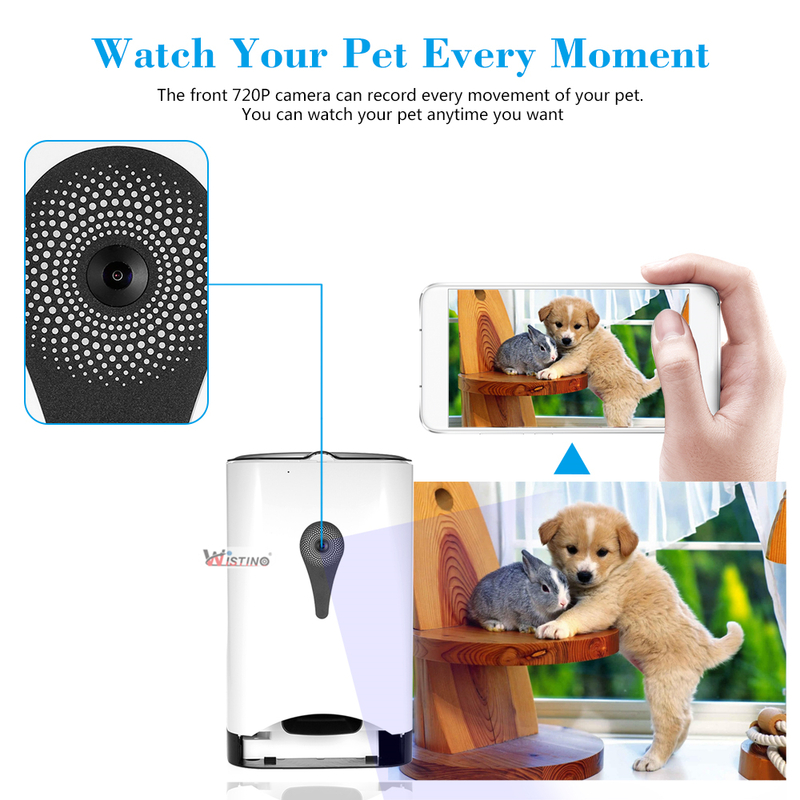 *Watch your pet every moment you want. 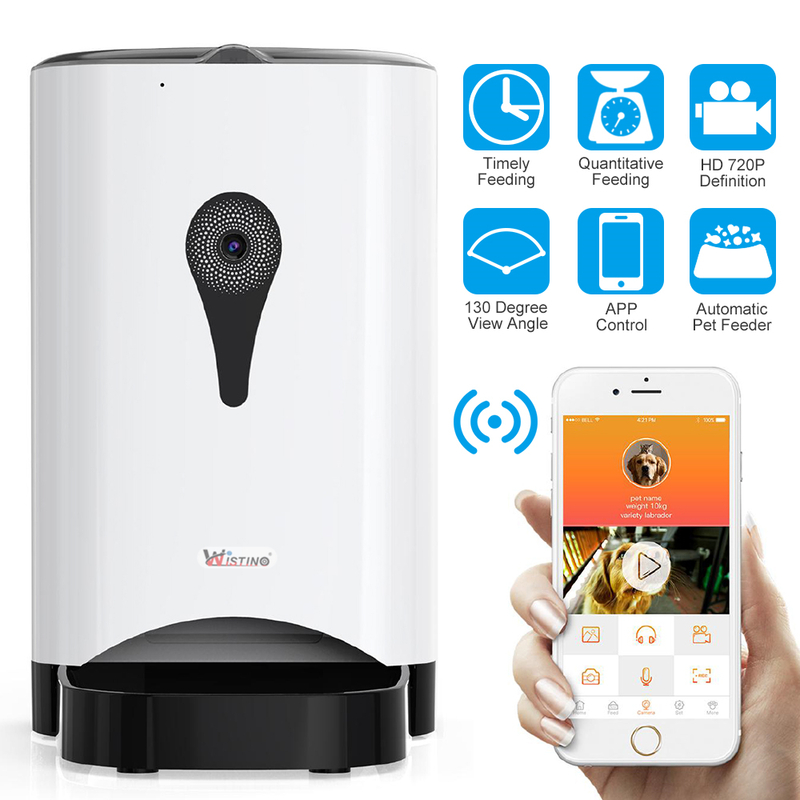 The front 720P camera can record every movement of your pet. You can watch your pet anytime you want. *Easy to set up. 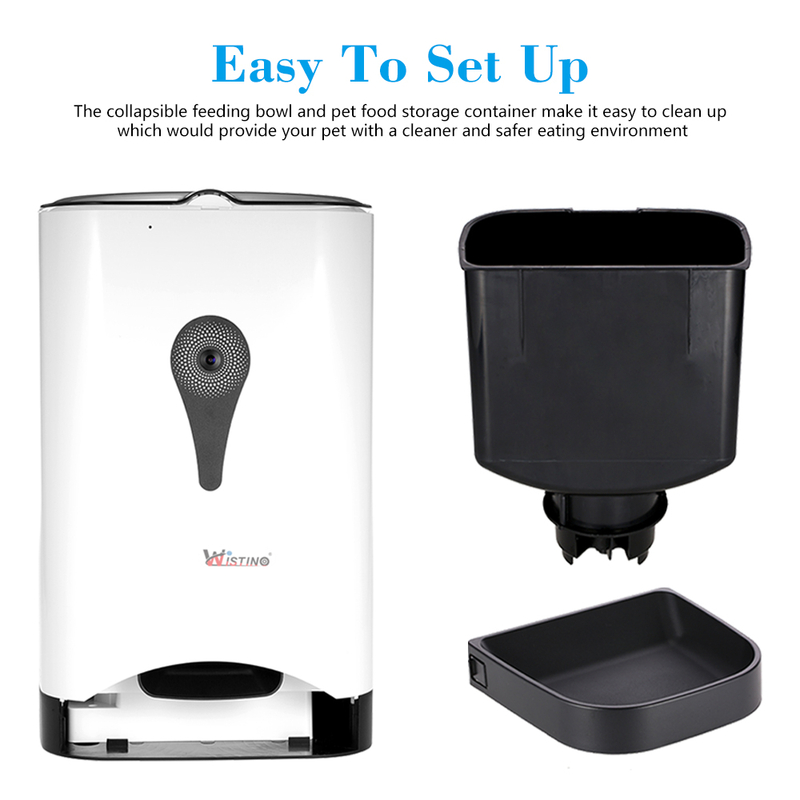 The collapsible feeding bowl and pet food storage container make it easy to clean up which would provide your pet with a cleaner and safer eating environment.